On February 15, 1542 Ottwell Johnson sent a letter to his brother at Calais. Only two days prior, he had been part of the throng of people filtering in through the great stone walls surrounding the Tower of London, braving the bitter winter air to stand witness to Jane Boleyn, Lady Rochford’s final hours on Earth. I see the Quene and the Lady Retcheford suffer within the Tower, the day following, whos sowles (I doubt not) be with God, for thay made the moost godley and christyan’s end, that ever was hard tell of (I thinke) sins the worlds creation; uttering thayer lively faeth in the blode of Christe onely, and with goodly words and stedfast countenances thay desyred all christen people to take regard unto thayer worthy and just punishment with death for thayer offences, agenst God heinously from thayer youth upward, in breaking all his commandements, and also agenst the King’s royall Majesty very daungeriously: wherfor thay being justly condempned (as thay sayed) by the Lawes of the Realme and Parlement, to dye, require the people (I say) to take example at them, for amendement of thayer ungodly lyves, and gladly to obey the King in all things, for whos preservation thay did hartely pray; and willed all people so to do: commending thayer sowles to God, and earnestly calling for mercy upon him: whom I besieche to geve us grace with suche faeth, hope, and charite at our departing owt of this miserable world, to come to the fruytion of his godhed in joy everlasting. Amen. Offences against God and the king…Justly condemned…Ungodly lives – these are damning words indeed. Could that bawd, Lady Rochford, expect anything better? After all, it’s her own fault she found herself kneeling before the block on a scaffold drenched, just moments before, in the sticky crimson blood of her mistress, right? What goes around comes around – her death was payback for her role in the downfall of her husband and sister-in-law. To accept Jane’s death as karma, you have to accept that she played an active role in the judicial murder Anne and George Boleyn, and I don’t. Though television shows like The Tudors and books like Wolf Hall would like to convince you of her duplicity, there is no evidence for it. Yes, there are rumors and hearsay, but those came long after her death and were most likely colored by her actions at the end of her life. However, she was guilty of helping Queen Katherine Howard and Thomas Culpeper meet; she confessed as much during her interrogation in 1541, this we know for certain. It’s only her motivation and the extent of her involvement that are up for debate. When the Privy Council met with Katherine Howard on November 12, 1541 to grill her on her late night activities with Thomas Culpeper, she made it clear that the fault belonged to her lady-in-waiting. It all started when Lady Rochford had told her that the king’s groom desired to speak to her. Katherine insisted that she demurred several times, but Jane was unrelenting, even ‘swearing upon a book’ that Culpeper meant no ill will towards her. It was only because of her lady’s nagging that she eventually gave in to that first meeting at Lincoln. She goes on to recount, almost word-for-word, conversations she had with her maid about how the meetings were wrong, her fear of being caught, and her constant protestations. Were these accusations true or were they the words of a terrified young woman desperate to save her own skin? When it came time for Thomas Culpeper’s examination, he appeared to sing the same song as Katherine; it was Lady Rochford who contrived these interviews. At face value, Culpeper’s wording could intimate that the meetings were Jane’s idea, but contrived can also be taken in much less sinister way, merely that Jane planned the meetings. That’s true – she did. Jane did look for hidden, out-of-the-way places – she did sneak about – with the queen. Culpeper backs that up: ‘The queen would in every house seek for the back doors and back stairs herself.’ Later in the interrogation, the groom details Katherine’s flirtations and gifts she gave him. He said that Lady Rochford provoked him much to love the queen and he intended to do ill with her. Ah, there it is – Jane’s provocation. The other interrogations all paint a picture of a woman so forceful, so influential, that she managed to convince an entire household to knowingly partake in treason. It almost seems outlandish. How could the widow of a convicted traitor wield so much power? She couldn’t. She wasn’t even the most senior lady in Katherine’s household. So why did everyone blame Jane? No one knows. The only clear fact from these records is that Lady Rochford was not a popular courtier. Perhaps therein lies the answer. 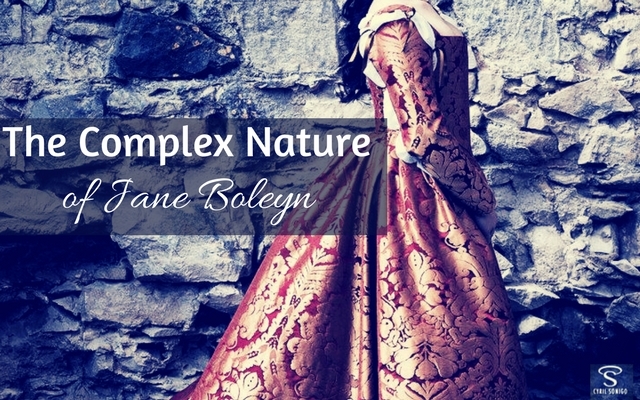 Jane Boleyn’s only biographer, Julia Fox, believes that she most likely agreed to help Katherine one time, and then because she said yes once, she felt as though she had to continue – it all snowballed from that first event. I concur that it’s the most likely explanation, but why in the world would she have agreed in the first place, knowing what had happened to her sister-in-law only a few years earlier? With the benefit of 500 years distance from the events, we can look back at it and smirk at how foolish she seemed, but Jane didn’t have that luxury. She was in the moment, making a split second decision that, eventually, became life or death. Katherine Howard’s household is reminiscent of the ‘mean girl’ cliques of popular culture. Ripe with competition, it was a pit of jealousy and vanity. The details of Katherine’s affair may have remained hidden from the king, but it was almost an open secret in her household, nearly everyone appeared to know about it. When it was finally brought to light, the ladies closed rank, leaving Lady Rochford out in the cold. For someone as unpopular as she seems to have been, it’s not a great leap to believe that Jane agreed to help because she wanted to be liked. If she pleased the queen, then perhaps Katherine would show her favor. A valid theory, for certain, but that doesn’t mean it’s the right one – or the only one. Was it revenge? Perhaps. Contrary to the image we have of Jane benefitting from George Boleyn’s downfall, his death hit her interests hard. As a convicted traitor, all of his goods were forfeit to the Crown. It is only through Thomas Cromwell’s good offices that she was able to keep some of his household-stuffs, including their marriage bed. 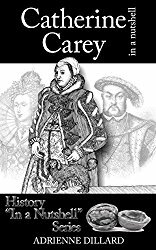 She had to wage an enduring legal battle with Thomas Boleyn to claim any of her jointure lands, and she never again rose to the same status she had during her husband’s lifetime. Whether or not you believe that the Rochford marriage was a love-match, it’s doubtful that Jane relished George’s demise. 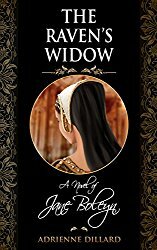 Beyond the request for the return of her marriage bed and her decision to wear widow’s weeds rather than remarry, Jane was the only one to reach out to offer comfort to George during his imprisonment. If there was no love between them, there was at least affection. His death impacted her emotionally, as well as financially. Though it’s usually glossed over, Jane’s mental state played a large role in her downfall. The Imperial Ambassador, Eustace Chapuys, reported that she ‘went mad’ on her third day of imprisonment so she was sent down the Thames to Sir John Russell’s home on the Strand to recuperate. The king even sent his own doctors to look after her. What would appear to be benevolent generosity on His Grace’s behalf actually had a far more selfish bent. He wanted her well-amended because it was illegal to execute the mentally ill. Regardless of how composed Jane later appeared on the scaffold, the fact that the king had that particular law changed speaks volumes about her stability. Perhaps she had exhibited signs before she found herself in the Tower? When considered separately, none of these theories offer a satisfactory conclusion, but together they show a clear picture of the complex nature of human behavior. What was once unexplainable can become understandable. The capacity for rational thought is severely hindered under the influence of psychological distress. Jane’s later life was filled with instability, so it’s no small wonder she made decisions that we would now consider outrageous and risky. The events of 1536 sent shockwaves throughout the Tudor court, leaving lasting damage on those at the epicenter. Adrienne Dillard is a graduate with a Bachelor of Arts in Liberal Studies with emphasis in History from Montana State University-Northern. 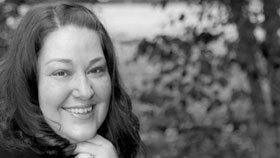 Adrienne has been an eager student of history for most of her life and has completed in-depth research on the American Revolutionary War time period in American History and the history and sinking of the Titanic. Her senior university capstone paper was on the discrepancies in passenger lists on the ill-fated liner and Adrienne was able to work with Philip Hind of Encyclopedia Titanica for much of her research on that subject. 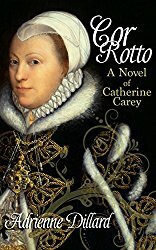 Her previous works include best-selling novel,”Cor Rotto: A Novel of Catherine Carey” and the non-fiction “Catherine Carey in a Nutshell” for MadeGlobal’s History in a Nutshell series. When she isn’t writing, Adrienne works as an administrative assistant in the financial services industry and enjoys spending time with her husband, Kyle, and son, Logan, at their home in the Pacific Northwest. Good article. Many events with tragic results, when looked at in the past tense, are easier to judge than by those who were caught up in the moment. One would think that, as a member of the royal court, Culpeper would know better than anyone how dangerous the liaisons were. I find this information very intriguing!! Appreciate the insights very much! !